Today is International Happiness Day which had us thinking, what makes a happy team? Here in School of Wok HQ we had a think about it and like most discussions it came back to the one key point- food. Food for most is what gives us a spark of happiness as it brings friends and families together- especially during the cooking and preparation which helps to create stronger bonds between people. This can also be the same case for your work team. We spend more time with our work families nowadays than our own, and what better way to get to know them better than through some competitive cooking and learning? 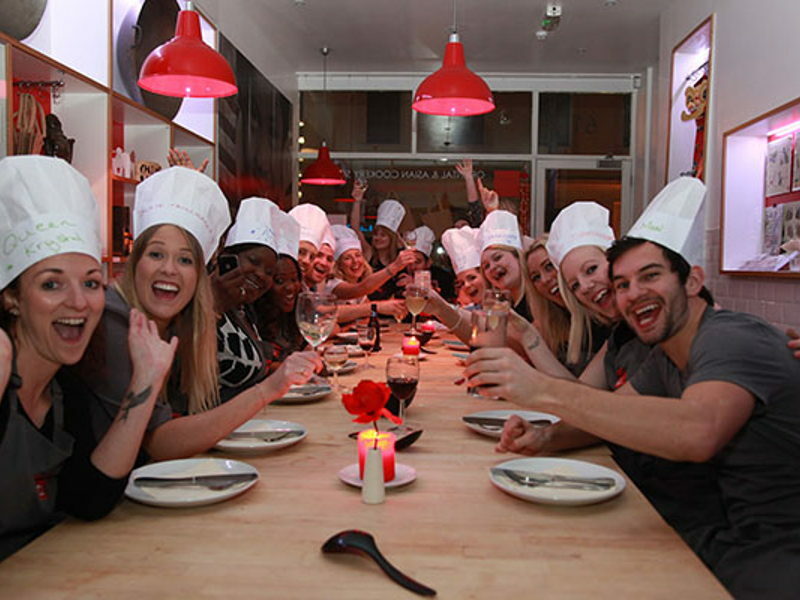 Here at School of Wok we provide a huge variety of Corporate events which our past customers have loved ranging from Apprentice-style cooking in our Operation Chinatown class, to Cooking for the Homeless as a CSR initiative. We provide the option of mobile cooking and event hire so you can get your team together to learn, laugh and cook a variety of delicious Asian meals. So for this International Happiness day how about booking one of our Corporate Events to make your team happy? Discover our options to find out more and enquire now.